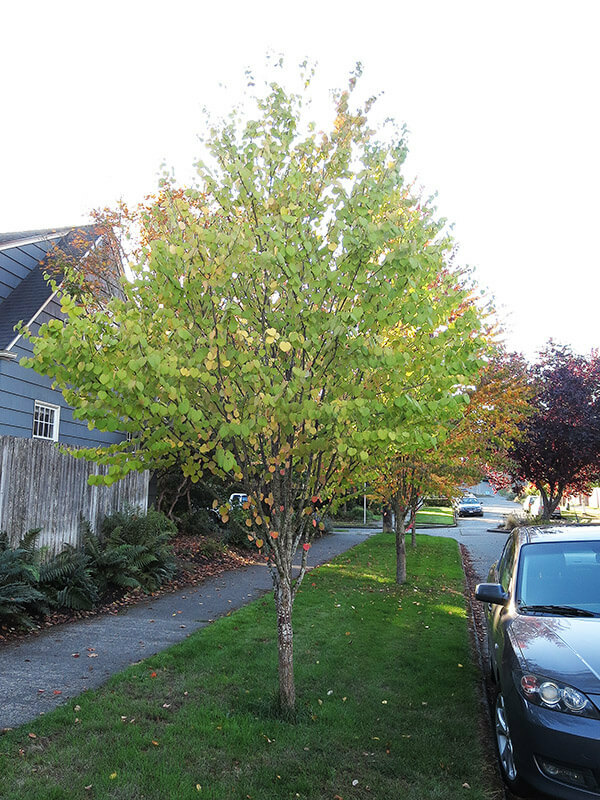 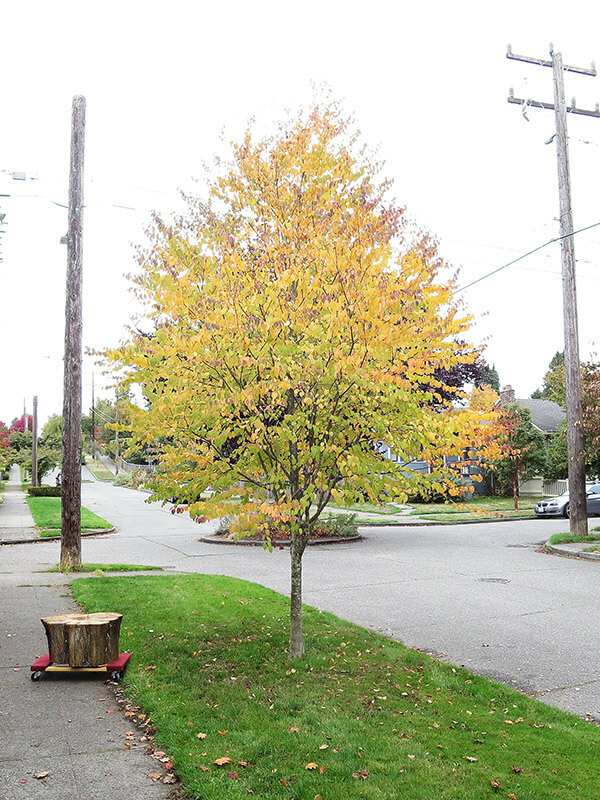 The Katsura tree is grown as both a single stemmed or multi-stemmed tree. 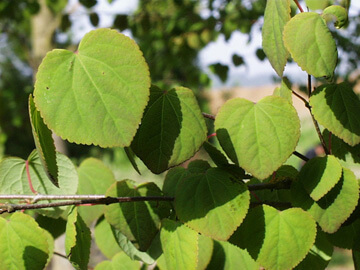 It has rounded heart shaped leaves that emerge in spring with a red to purple tint. 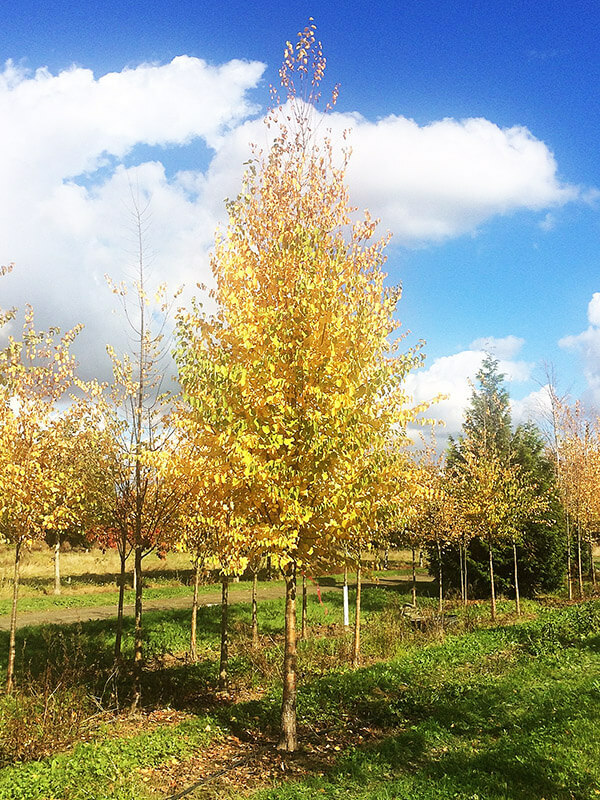 As the leaves mature they turn a slightly bluish green. 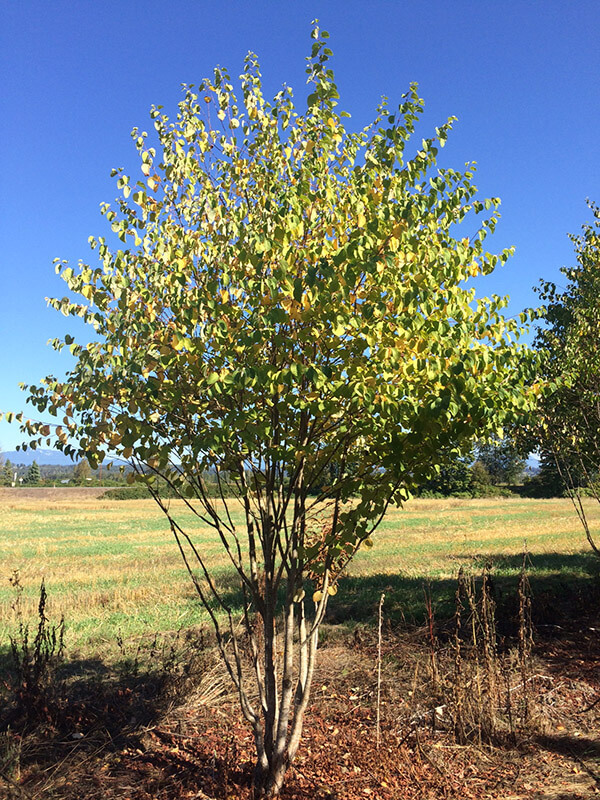 The Katsura has yellow fall color and are known for the sweet sugary scent they emit as fall arrives.